These open source projects and AWS partner products help Kubernetes users take advantage of AWS services and features and provide additional functionality for Amazon EKS. CloudBees Jenkins Enterprise integrates with Kubernetes on AWS to give developers a CICD solution with the flexibility to support diverse software portfolios, embed best practices and unified governance. HashiCorp Terraform provides a consistent workflow for operators to provision AWS infrastructure to support Amazon EKS. 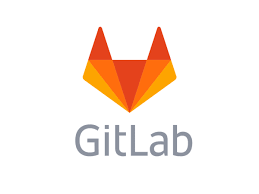 GitLab is software development and delivery designed for Kubernetes. It provides Auto DevOps, Deploy Boards, Canary Deployments and more to easily deploy your app to Amazon EKS. Hasura Gitkube lets developers deploy applications to a Kubernetes cluster by running a `git push` command. JFrog Artifactory gives visibility of your artifacts and lets you trace dependencies from code to cluster, provides universal support for your CI/CD technologies tools, and deploys Kubernetes applications to your Amazon EKS cluster. CloudBees CodeShip is a SaaS CI/CD solution that empowers engineering teams to practice and optimize continuous integration and delivery in the cloud for everything from simple web apps to modern microservice architectures to achieve fast, secure and frequent code delivery. Weavework's WeaveCloud allows you to gain insights into your running workloads, visualize the complete architecture and provides consistent deployment workflows using the gitops methodology. 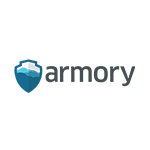 Armory is Spinnaker at Enterprise Scale that helps you deploy Kubernetes and provides a single pane of glass view into datacenter and AWS environment. Armory’s Spinnaker installs easily with Amazon EKS and has added enterprise features and integrations, including 24x7 support and training. Datadog monitors the health of your Amazon EKS clusters and containerized applications with logs, metrics and application performance data. SignalFx provides real-time metrics, alerts, and dashboards for Amazon EKS. SumoLogic integrates with Kubernetes running on AWS to give you real time, continuous intelligence for your applications. New Relic provides detailed monitoring and dashboarding for real-time visibility into the performance of your Kubernetes applications. Solarwinds monitors Kubernetes clusters and application health across data centers. Pods, deployments, and services are tracked with EKS-integrated service discovery. CloudHealth Technologies simplifies your container management by providing cost visibility and resource optimization for your container environment. Splunk Connect for Kubernetes complements Amazon EKS by enabling you to easily capture container and cluster logs, events, and metrics. Container Network Interface (CNI) plugin for AWS is used by Amazon EKS to provide a flat VPC network topology by enabling Elastic Network Interfaces for Kubernetes pods. Tigera provides network security for Amazon EKS with Project Calico, the industry standard open source implementation of Kubernetes network policy. External DNS plugin lets you configure Route 53 Service Discovery for Kubernetes Ingresses and Services. Canonical delivers a built-for-purpose Kubernetes Node OS image. This minimized Ubuntu image is optmized for Amazon EKS and includes the custom AWS kernel jointly developed with AWS. SUSE Cloud Application Platform (CAP) on Amazon EKS service provides a secure, stable and scalable development and deployment environment for microservices. 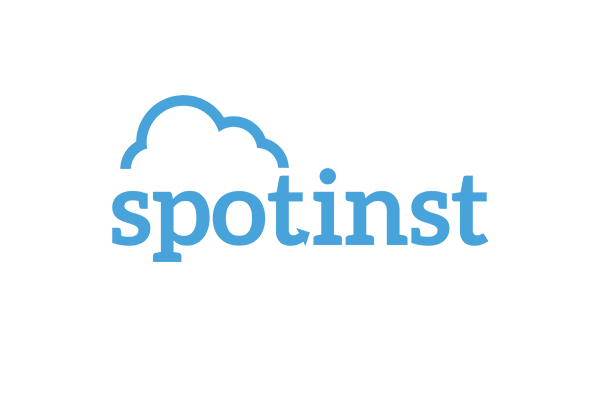 Spotinst simplifies the process of creating and scaling an Amazon EKS Cluster while automatically connecting Elastigroup to manage the underlying EC2 Instances using Spot Instances, helping save around 80% of the compute costs. 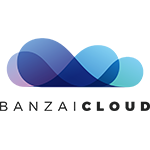 Banzai Cloud Pipeline enables developers to go from commit to scale in minutes by turning Amazon EKS into a feature rich application-centric platform integrating CI/CD, centralized logging, monitoring, enterprise-grade security, autoscaling, and spot price support. Heptio Authenticator enables AWS IAM credentials to be used for Kubernetes cluster role-based access control (RBAC) authentication. HashiCorp Vault provides a consistent approach to leverage any trusted source of identity to enforce access to systems, secrets, and applications. Aqua Security helps protect applications at runtime, leveraging and enhancing Kubernetes-native controls to enforce security and compliance policies at scale, and protect workloads against attacks. Alcide Cloud-Native Security Platform integrates with Amazon EKS to provide enhanced visibility and deep network security monitoring of all running workloads and Kubernetes Network Policies, across multiple accounts and regions. Rancher allows enterprise administrators to authenticate Amazon EKS users using their existing Active Directory and enforce uniform security and RBAC policies across all Kubernetes clusters. The Couchbase autonomous operator on Amazon EKS provides a NoSQL document store that is resilient to failures with operations managed by tight integrations to Kubernetes. Portworx PX-Enterprise combined with Amazon EKS provides multi-AZ failover, backup and recovery, and autoscaling for mission critical stateful workloads running on Kubernetes. MapR Data Fabric on Amazon EKS provides Scalable, Secure, High-Performance Storage for Stateful Containerized Applications. Cloudera's Data Science Workbench on Amazon EKS will give customers a self-service, distributed machine learning platform optimized for the cloud. Teradata IntelliCloud for AWS uses Amazon EKS to provide analytics at scale, by enabling predictive and prescriptive analytics to coexist with enterprise production workloads in the same environment. MongoDB Atlas with Amazon EKS simplifies the process of deploying and managing applications and their underlying dependencies.